Spied! 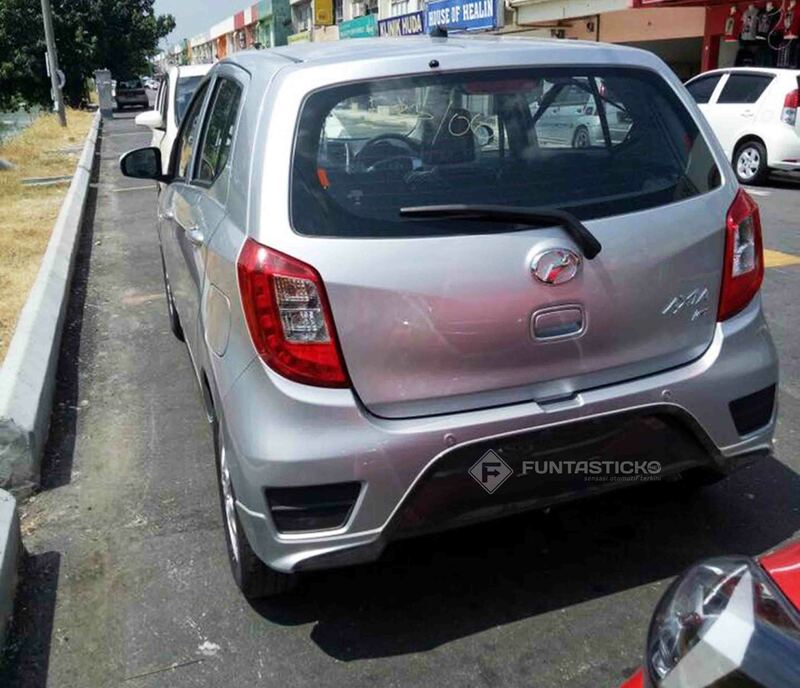 2017 Perodua Axia with Gear Up accessories sighted in showroom! 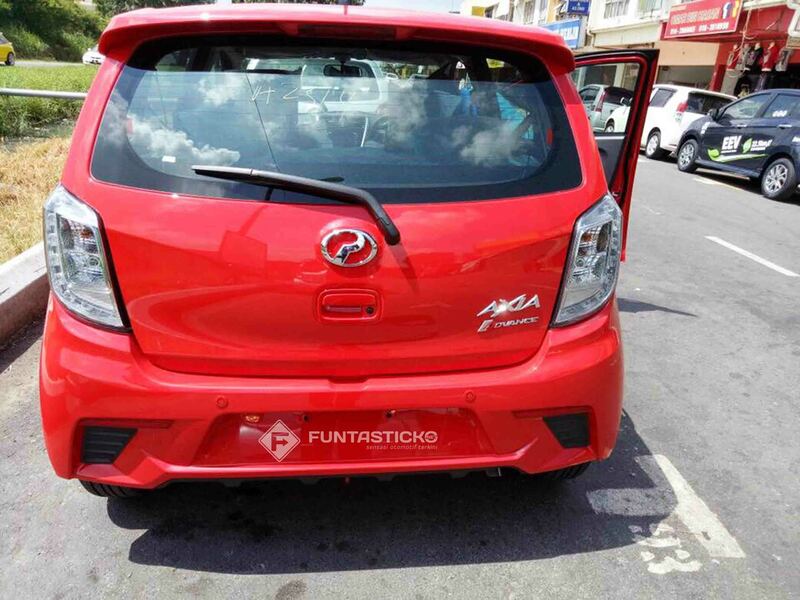 Perodua’s entry-level offering, the Axia will receive a minor facelift in the near future. 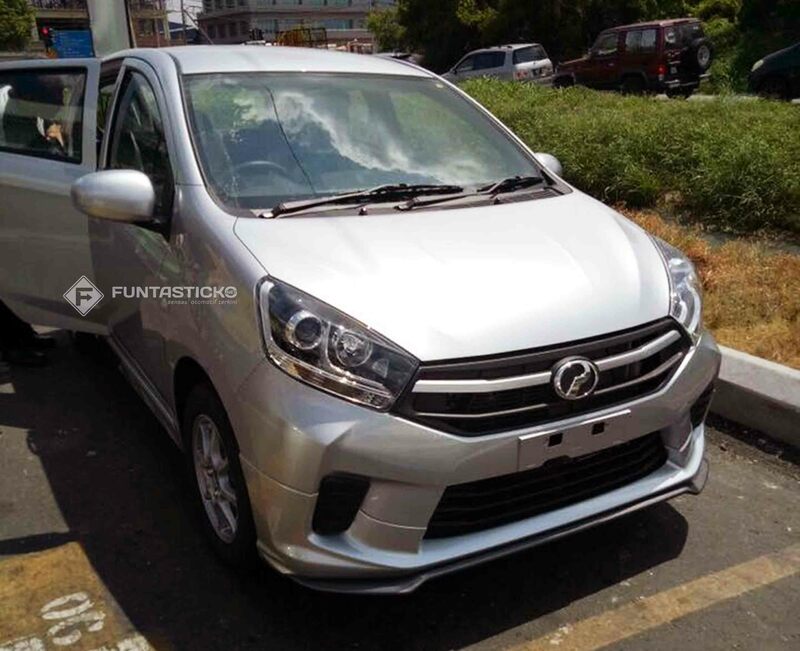 All variants of the Perodua Axia will be updated, from the entry-level Axia 1.o E all the way up to the Axia 1.0 Advance. Seen here are the mid spec Axia 1.0 G and Axia 1.0 Advanced, with the former decked out with the optional Gear Up accessories. 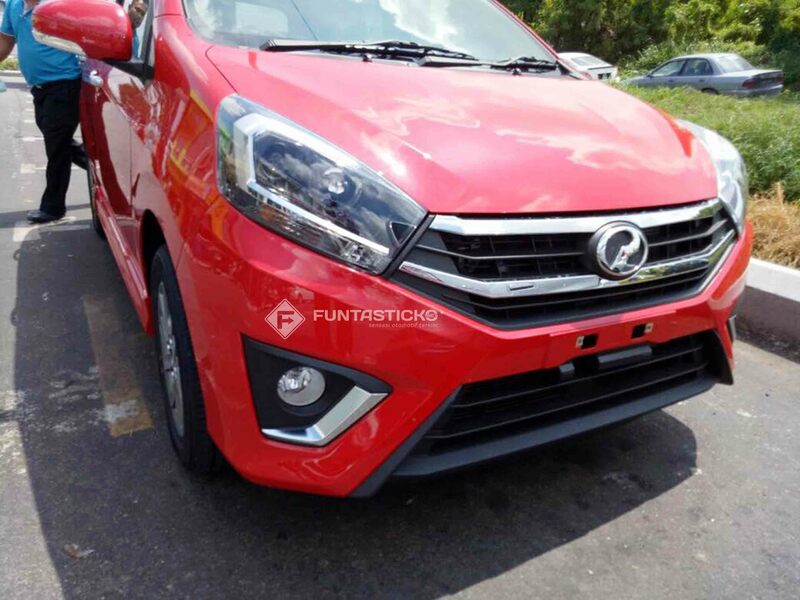 As mentioned earlier, the Axia Advance and SE will receive a Honda Jazz-inspired front end with a significantly larger front grille. The large grille is surrounded by a pair of revised projector headlights with a new fog light surround with chrome trims below. The rear end is largely similar as the outgoing model, though the Axia now gets an improved rear boot handle. Moving one level down is the Axia G, which also receives a pair of projector headlights, replacing the pre-facelift model’s reflector units. Bumper and grille design is also fresh on the new Axia. Seen here is the optional Gear Up body kit that adds a front skirt, side skirt and rear skirt. On top of the new looks, the updated will be powered by the identical 1.0-litre 1KR-VE three-cylinder engine with VVT-i, improving fuel consumption.